Nuova Coterm is a costumer-focused company, which offers a range of highly practical and cost effective wood fired water heaters. This old source of energy successfully combines low running costs, high independence of operation, environmental awareness and comfort. The heaters are very well constructed, are easily loaded with large amounts of wood and ensure an efficient and long burning time. More specifically, the ash tray of the Big series has been designed to ensure an even more effective ash collection and disposal. 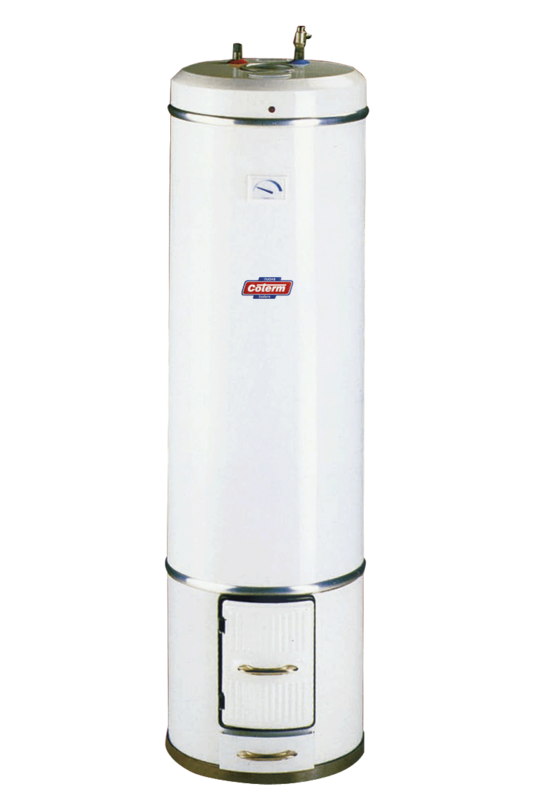 For special usage conditions, models fitted with an electric resistor are available, which ensure the performance and the features of an efficient electric water heater. All the models are protected from electro-chemical corrosion by means of a magnesium alloy anode. Fill in the form below to be e-mailed BIG SERIES WOOD FIRED / WOOD FIRED ELECTRIC WATER HEATERS data sheet. Thank you.